Come on, you know you love DIRECTV’s Genie Remote. Maybe you were a doubter at first, but it’s easy to use, easy to hold, and gives you just what you need. So you want to have a few extras around. But you were thinking, can you use two of them in the same room? 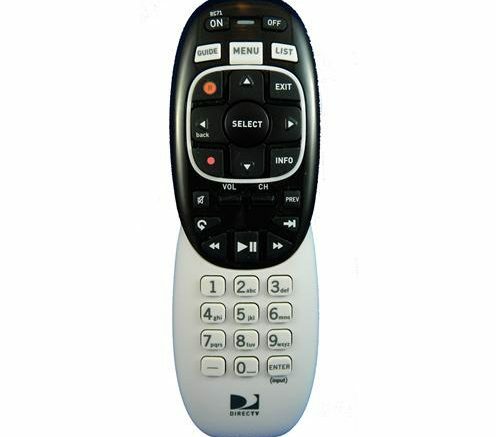 If you’re using the Genie remote for an older DIRECTV receiver (not the Genie DVR or Genie client) you know that these remotes can only be used in IR mode. The good news is, you can use as many IR remotes as you want. So stock up! Get one for every member of the family. If you’re using a newer Genie client or Genie DVR, you can use the Genie Remote in RF mode, meaning it will easily shoot through doors, walls, even through your TV. But the bad news is that you can only have one RF remote at a time. So one of those remotes can be in RF mode and the other ones will have to settle for IR mode. The good news… the newer devices can listen in RF mode AND IR mode at the same time, so there’s no problem doing it that way!